Silanna Group acquires Appulse Power! 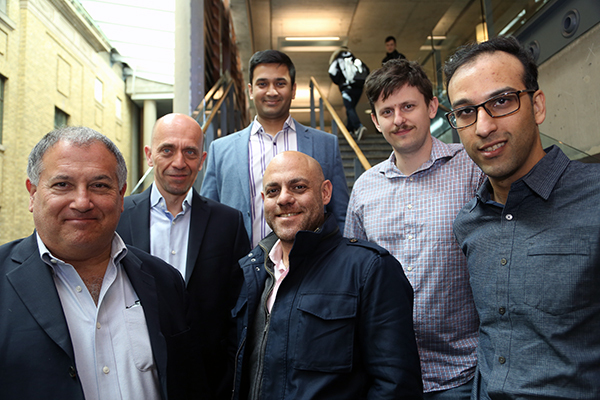 Appulse Power Inc., a UTEST company from 2014, founded by U of T Engineering alumni Ahsan Zaman, Behzad Mahdavikhah, Aleksandar Radić, and Professor Aleksandar Prodić has been acquired by the multinational Silanna Semiconductor for an undisclosed amount. Appulse designs application-specific integrated circuits to allow devices, including smartphones and tablets, to charge faster and consume less power. Its innovations enable more efficient charging and smaller components both inside and external to devices — this means shrinking the footprint required for power management inside mobile devices, and downsizing clunky chargers and adapters. Appulse has 13 employees across two offices in Toronto and San Diego, Calif., all of whom are staying with Silanna and will operate as an independent business unit within the company. The Toronto office will become Silanna’s first Canadian location, in addition to hubs in San Diego; Raleigh, North Carolina; Brisbane and Sydney, Australia; and Singapore. Appulse received critical grants from NSERC’s idea2innovation (i2i) program and the Ontario Centres of Excellence SmartStart Seed Fund. The team also received early support from the University of Toronto’s Early-Stage Technology (UTEST) incubator as part of its 2014 cohort, and went on to join EvoNexus, the premier technology incubator and hub for Southern California’s startup community. There Drucker, a board member and EvoNexus alumnus himself, was introduced to the company’s innovative technology.